It doesn’t take Nostradamus to foretell that cloud computing will keep booming in 2016. Where the predictions do get interesting, though, is around questions such as which forces will drive cloud growth, how the competitive landscape will change, and how cloud’s security reputation will evolve. Here are 11 predictions about the strategic choices and competitive battles that lie ahead. 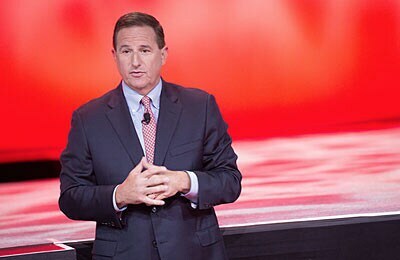 CEO Mark Hurd named this as one of five cloud predictions to come true by 2025. Those predictions are grounded in economic factors, not pure technology ones. Executives feel an intense pressure to innovate using technology, and they’re also under intense cost-cutting pressure, because revenue is barely growing at most big companies. Today, only about 25 percent of production apps are in the cloud, Hurd said, but the adoption pace will accelerate because CEOs and CIOs see no other way to meet those dueling pressures of innovating faster while cutting costs. The cloud “is the only way to make that leapfrog from where you are to where you have to be and do it at a compelling [total cost of ownership] that's both secure and drives the level of innovation,” Hurd said. Security will move from a barrier to cloud adoption to one of its main benefits. Security will be one of the most important drivers to move to the cloud. “Today, the #1 reason organizations are not moving to the cloud is security. However, tomorrow, security will be one of the most important drivers to move to the cloud,” said Oracle CIO Mark Sunday. A survey by Harvard Business Review Analytic Services (PDF) (sponsored by Oracle) found that 62 percent of respondents thought security issues were by far the biggest barriers to expanding cloud adoption at their companies. Nearly half said data security is harder in the cloud. But those very same concerns will soon drive organizations to the cloud. Established cloud vendors with a solid security track record have the expertise and resources to deploy layers of defense that many companies can’t hope to duplicate in-house. “This is one factor steering many CIOs toward established vendors for cloud services—they have the resources to invest in state-of-the-art security, both physical and logical,” according to the study. Investments in physical security include biometric scanners, security zones, and video surveillance. Logical security includes privileged user access controls, encryption by default, and regularly scheduled patching and maintenance. “Cloud vendors like Oracle that have a comprehensive and integrated defense of layered security controls are what can turn security from an inhibitor to an enabler of enterprise cloud deployments,” Sunday said. Digital disruption will force companies to replace the last era’s IT systems—including enterprise resource planning. That thinking will start changing in 2016, as digital business models demand modern, nimble IT systems. ERP projects of the past were IT’s thankless task—seen as complicated, risky, and lengthy, even if the end results paid off. That’s why CIOs hang on to 20-year-old financial, supply chain, and other core applications. Two forces will drive a change in thinking in the year ahead. One is lower internal risk for taking on a major IT project. Cloud IT implementations aren’t as slow and risky as the on-premises software projects of old, so even core IT projects can be done in months instead of years. More importantly, companies now realize they must adapt to changing business models in the digital era. Their processes, performance metrics, channels, and data needs are all evolving fast, and business leaders won’t tolerate ERP or other systems that can’t keep up with their customers’ demands. Some 81 percent of the participants in Accenture’s Technology Vision 2015 study think industry boundaries will dramatically blur as “platforms reshape industries into interconnected ecosystems.” The vast majority (86 percent) of CEOs surveyed for PwC’s 2015 Digital IQ report said it’s crucial for them to champion the use of digital technologies. Look for companies this year to conclude that they need to modernize their core applications to lead during this time of industry upheaval. IT’s focus will shift from support to innovation, thanks to the automation built into cloud applications, platforms, and infrastructure. Steve Daheb, senior vice president of Oracle Cloud Platform, explains how connecting different layers of the cloud delivers real value to business. Using cloud resources, companies don’t have to have their own IT pros patching databases, backing them up, or setting up data encryption and disaster recovery. Companies don’t have to buy, install, and configure hardware systems to support those efforts, nor manage, cool, and power large data centers. Automation frees up IT organizations to focus time and resources on developing creative new tools that directly improve how customers buy or employees work—whether that’s building mobile apps, harnessing data to improve operations, or working with business units to improve customer engagement. Thanks to the clear ROI, 100 percent of development and testing is moving to the cloud. One of the top quick-win scenarios CIOs will seize on in 2016 is to move their development and testing to the cloud. Hurd predicts it will be done entirely in the cloud by 2025. When IT teams use on-premises software and hardware for development and testing, they have to buy, license, and configure everything from servers to databases needed to create a development environment that hopefully matches the environment an app will someday run in production. Hurd estimated that the effort wastes about 80 percent of the resources spent on dev-test, and it slows the work down. IT teams often want to develop and test in a cloud environment and then move the application back on-premises for production, mainly for regulatory reasons. Look for companies to choose cloud development platforms that give them the choice to either scale up in a public cloud or run on-premises, once the app’s production-ready. The cloud will reshape the application, platform, and infrastructure provider landscape. 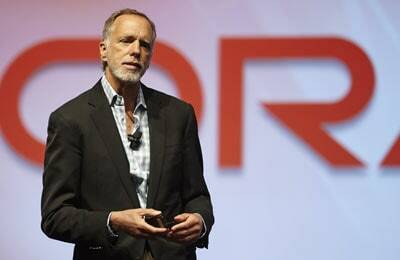 The cloud is shaking up the ranks of technology providers. Oracle, for example, faces an almost entirely new cadre of rivals in the cloud, where it never sees long-time competitors SAP and IBM, said Oracle Executive Chairman and CTO Larry Ellison. “This is how much our world has changed,” Ellison said. Only Microsoft is competing like Oracle at all three layers of the cloud, in applications, platform, and infrastructure, he said. How will the cloud provider competition shake out? Ellison didn’t put a date on it, but he did forecast where Oracle would land in those three cloud segments. “We’re going to win by being #1 in applications and #1 in platform, and I think being a really solid, top-three infrastructure player,” Ellison told financial analysts. Shifts in customer expectations and corporate operating models will fuel a hypergrowth market for cloud computing, as CIOs move core business functions to the cloud. Almost every industry is transitioning to a digital business model due to evolving customer expectations and changes in business demands. Consider the video game industry, which has experienced a dramatic shift in distribution over the past three years. Consumers are no longer bound to purchasing games at retail outlets, with nearly three quarters of video games now distributed digitally. This kind of massive shift requires modern technology developed to address these challenges. Unfortunately, the applications most companies run their business on today are more than two decades old; they don’t meet current customer expectations or scale to meet the requirements of digital businesses. “It’s clear that most existing business systems were not designed to meet today’s business requirements—rapid inorganic growth, efficient post-merger integration, expansion into nontraditional markets, faster innovation cycles, and complete digital transformation of the business. To better support these corporate initiatives CIOs will move core functions to the cloud,” said Shawn Price, senior vice president, Oracle Cloud. Businesses will expect true hybrid clouds—no walls between public clouds and on-premises systems—so cloud-based integration will shoot to the top of CIO priority lists. A data silo in the cloud is still a silo. Companies will attack this problem in 2016, insisting that cloud and on-premises systems share data, and relying on increasingly powerful and simple cloud-based integration tools to do that job. The beauty of cloud apps, platforms, and infrastructure is companies can implement them in weeks or months; the downside is that too often companies are only building data silos faster. Cloud-based integration promises to remove a lot of the complexity that has gone into custom-coding integrations. Simpler integration tools mean that data experts—rather than technologists—can do many integrations, letting the people who know what information’s most needed build the data links between systems. Such tools free up IT pros to focus on only the most critical or sophisticated integrations, letting them serve as the architects managing the integration process. Clouds and on-premises systems will coexist for a decade or more, so that integration architecture know-how will be in high demand. Cloud systems will provide an alternative to build-it-yourself big data. Early adopters had no choice but to build their own big data clusters and environments. But assembling, managing, and maintaining these unique systems built on Hadoop, Spark, and other emerging technologies is costly and time-consuming. And the needed talent is tough to find. In 2016, we’ll see cloud services and appliances mature to the point that they become mainstream for big data initiatives, freeing in-house big data experts to figure out how best to apply that analytical power. Infrastructure vendors without a cloud infrastructure option will be in trouble. Having a successful public cloud is a requirement for any large-scale hardware company that plans to be successful over the longer term. The cloud has fundamentally changed how organizations purchase, consume, and use computing and storage resources. IT now has clear choices for developing, deploying, and running applications and workloads on-premises, in the cloud, or both. But companies will keep some of their existing on-premises environment for many years to come for applications that require sub-microsecond response time. 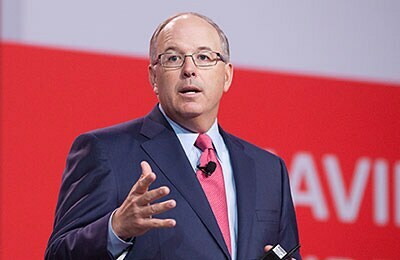 Infrastructure vendors are being disrupted by this change and “need to architect their products to work both in your data center and in the public cloud,” said Dave Donatelli, Oracle executive vice president for converged infrastructure. The pressure will be on hardware and cloud infrastructure providers to deliver complete compatibility, so that workloads can shift between cloud and on-premises with no code changes. 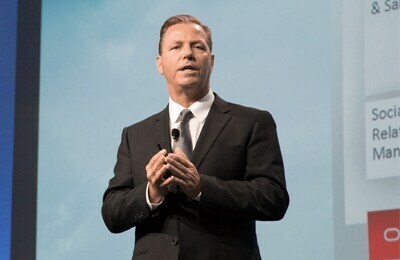 “Having a successful public cloud is a requirement for any large-scale hardware company that plans to be successful over the longer term,” Donatelli told Forbes contributor John Furrier. At this point, Oracle, as intellectual property owner from chip to cloud, is the only IT supplier that offers this compatibility, delivering common architectures, common management, and common SLAs, with visibility and support across on-premises and the Oracle Public Cloud. Demand for self-service apps will rise, led by analytics tools. The days of relying on IT for tasks like sending out periodic reports are ending. Employees want to do their own analyses, jumping on new opportunities and problems as they pop up. Cloud-based, self-service tools are making such speedy action possible in many realms—collaboration, digital marketing, procurement—but nowhere will the value look more clear than the booming area of visual analytics. With data soaring in volume and complexity, business people are using visual analytics to access it, make sense of it, and take action. Some 46 percent of respondents to a TDWI survey on visual analytics best practices said they’re dependent or extremely dependent on IT for analytics, but only 37 percent thought they would be just as dependent on IT in two years. Forward-looking IT teams will encourage this cloud-based, self-service independence in 2016. Personalized data visualizations, easier data mashups, and unfettered data access will give business leaders insight at the speed they need, and let IT focus on more innovative work rather than report building.